Kentucky prison officials say multiple changes have been made in the wake of an inmate's starvation and dehydration death at the Kentucky State Penitentiary earlier this year. Deputy Corrections Commissioner Jim Erwin told lawmakers on Wednesday that two doctors and another medical professional have been dismissed and new policies for dealing with inmates who aren't eating have been put in place. The legislative hearing came eight months after 57-year-old James Kenneth Embry starved to death on a hunger strike after telling medical personnel he no longer had hope and repeatedly beat his head on the prison doors. An Associated Press story revealed Embry's hunger strike and death in January at the maximum-security facility in Eddyville. 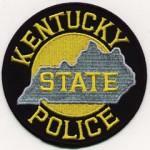 An investigation into the death by Kentucky State Police is ongoing.